Concord Custom Canvas can make screens as a new installation or to replace old weathered screens. Concord Custom Canvas will use the existing snap hardware to make the window screens. As part of the fabrication, we’ll inspect the hardware for suitability before using it. Any broken hardware will be replaced. Concord Custom Canvas will install new snap hardware around the perimeter of the window and then make the screens to fit the new snaps. Window and Windshield screens may be made with special snap studs (called gypsy studs) that make it possible to put Sunbrella covers over the screens. 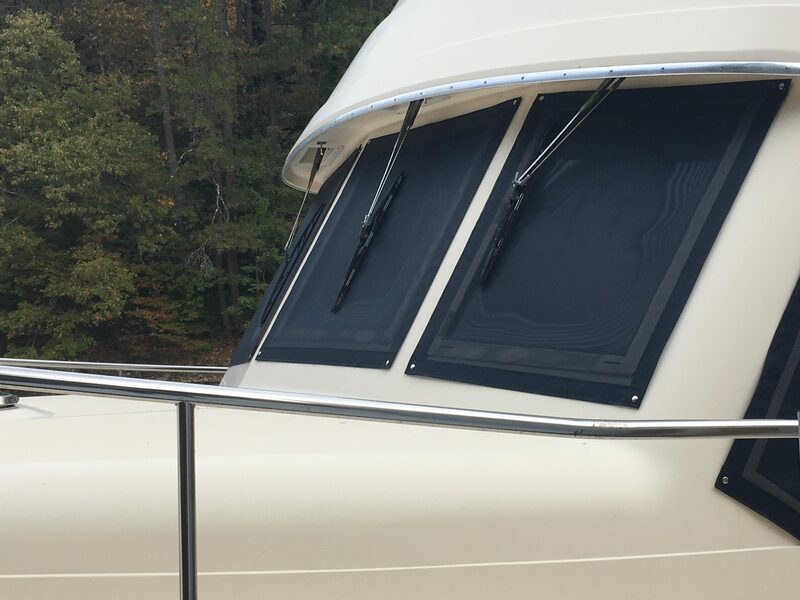 If this makes sense for your boat, make sure to ask us about it. We use a high quality marine mesh to make the screens. The most common colors are black or white, but other colors are available. Several different levels of shade are available with this mesh, which must be specified before the work can begin. Occasionally, windshield screens are made entirely of Sunbrella to completely shade the windshield. Snaps are nickel coated brass since we are in fresh water. On customer request, snaps can be stainless steel. 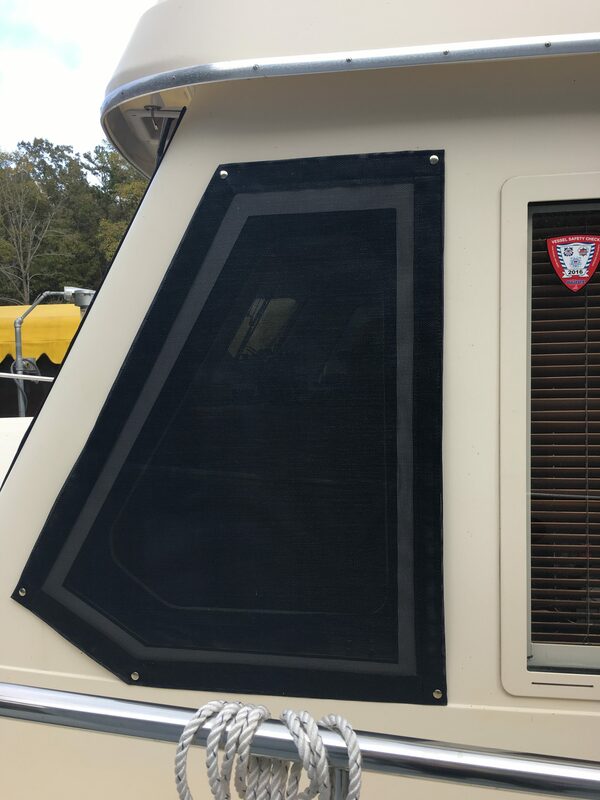 Window screen edges are hemmed over and then double stitched or otherwise reinforced. We can use UV polyester or lifetime (preferred) thread to stitch the screens.